MacBook Pro is machined from a single piece of aluminum, an engineering breakthrough that replaced many parts with just one. It’s called the unibody. makes. The entire enclosure is thinner and lighter than other notebooks. for life inside (and outside) your briefcase or backpack. Everything Apple designers and engineers do, they do for a reason. makes the display instantly bright and allows it to be incredibly thin. family in big, beautiful widescreen — and as little of the camera as possible. center, and everywhere in between. 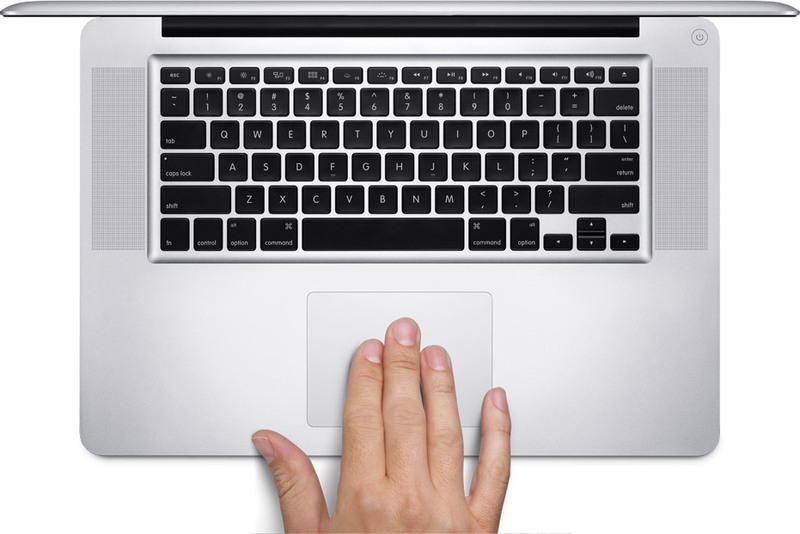 Apple designers and engineers spent countless hours considering things like sensitivity (how much pressure triggers a click? ), audio feedback (what does the click sound like? ), and friction over the smooth glass surface (what does it feel like?). The result is atrackpad that just makes sense to you — and your fingers. Plenty of ways to plug in. With MagSafe power, Gigabit Ethernet, FireWire 800, Thunderbolt, USB 3, SDXC, and audio in/out, MacBook Pro gives you just about every connection and port you might need. connected using adapters (sold separately). 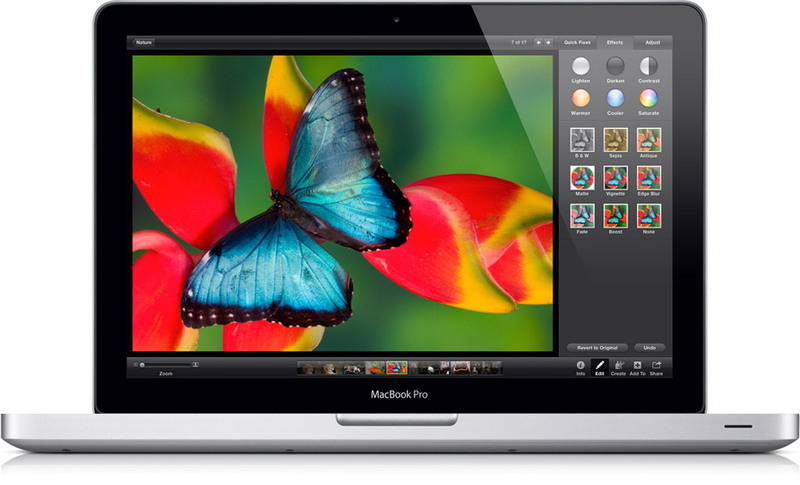 The FaceTime HD camera built into the MacBook Pro display lets you make FaceTime video calls in 720p resolution. Because the magnetic latch has no moving parts to snag, jam, or break, even opening and closing your MacBook Pro is a pleasure.